Daily stress often results in tension buildup in the muscles. A good combination of Thai massage and facials in Leesburg helps relax these tight and drawn muscles and relieve stress and tension. Thai massage, in particular, promotes body wellness. Developed by Buddhist monks 2500 years ago, Thai massage has a rich history and is steeped in an ancient healing tradition that originated from India. Thai massage is more rigorous than other forms since therapists use yoga-like movements in manipulating the muscles. It includes passive stretching and applying gentle pressure across the body energy line to promote flexibility. What makes Thai Massage different? Unlike other forms that need oil and require you to disrobe, Thai massage is done fully clothed and on a flat mat. It is a full-body massage that aims to increase your flexibility and range of motion through yoga-like positions and movements implemented by the therapist. Through the stretching techniques, you take part in the massage. This can be particularly helpful during a physician-approved rehabilitation program following an injury or illness. In addition, Thai Massage may look painful, but it’s not. While it is hard to steer clear of discomfort when targeting muscle knots, qualified therapists can adjust the degree of pressure. What are the advantages of Thai Massage? One type of Thai Massage, court-type, caters to applying pressure on particular energy channels. 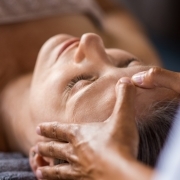 This massage is effective for those who have chronic tension headaches. Through gentle stretches, Thai massages stimulate blood circulation, increasing the flow of oxygen throughout the body. It also helps relieve pain in key areas. Thai massage is considered to be better in reducing stress compared to plain rest. In a 2015 study, Thai massage was found to reduce the salivary alpha-amylase levels (sAA) or the stress marker in saliva. Thai massage technique is based on Sen or the belief of energy lines. The stretching either opens or constricts various Sen to restore life energy. This is backed by science: according to a study, Thai massage increases energy and mental stimulation. In a Thai Massage, yoga-like stretches are employed to lessen stress. After gradual stretching, the person becomes more flexible as a result. Disk herniation – If you have a rubbery disk between spinal bones, Thai massage is not advisable. Osteoporosis – Having weak bones make it hard to withstand the dynamic motions of the massage. Recent surgery – Coming in fresh from an operation has dire consequences when exposed to the massage movements. Don’t eat a heavy meal. Your digestion will be disrupted when you go through the massage. Get to the venue 10 minutes early. This gives you ample time to calm down before the masseuse attends to you. Inform the massage therapist of your complete health history. Knowing your health record will determine if you are fit to undergo the procedure or not. Let your therapist know if you’re uncomfortable. This will allow them to adjust their technique accordingly. Reap the Benefits of Thai Massage Now! Stressed at work, or have muscle pain from your workout? Give your body a break with a Thai massage at Awakenings Spa Boutique. Book now on our website, or call us at 703-728-6508 for the best massage therapy in Leesburg! Are you celebrating your independence this Valentine’s Day or sharing it with someone special? Spread the love with a trip to one of the most relaxing spas in Leesburg, VA! Make your heart and your body happy with our special Valentine’s Day promos here at Awakenings Spa Boutique. It’s the perfect gift for individuals and couples alike! We’ve taken everything you love about massages and put them all into one amazing package. The Valentine’s Day Massage Special is 80-minutes worth of bliss from head to toe. Let go and relax with a soothing scalp massage and foot treatment. This special promo also includes hot towels, hot stones, and aromatherapy for the full experience. Nothing says romance more than chocolate and strawberries. Indulge in this perfect combination with our Chocolate Covered Strawberry Bliss Facial! It’s the Awakenings Signature Facial with a sweet twist – for the ultimate exfoliation, a delicious strawberry seed scrub will be used to gently buff away dull skin. This is followed by an organic, raw cacao mask loaded with antioxidants to shield your face from signs of aging and fight free radicals. 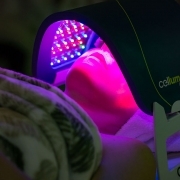 This sensational facial will leave you feeling fresh, young, and oh-so-beautiful! Book your Chocolate Covered Strawberry Facial for only $79! Who said you could only indulge during Valentine’s Day? Pamper yourself anytime with our wide range of massage services, yoga sessions, and skin therapies. Make it a date, a special outing with your closest family and friends, or treat yourself to some peaceful alone time at your local Leesburg spa! Nourish your mind, body, and soul with our Private and Semi-Private Yoga classes. Learn breathing and relaxation techniques from the ancient healing art of Hatha Yoga. Great benefits include pain relief, mindfulness, mental and emotional clarity, and positive well-being. 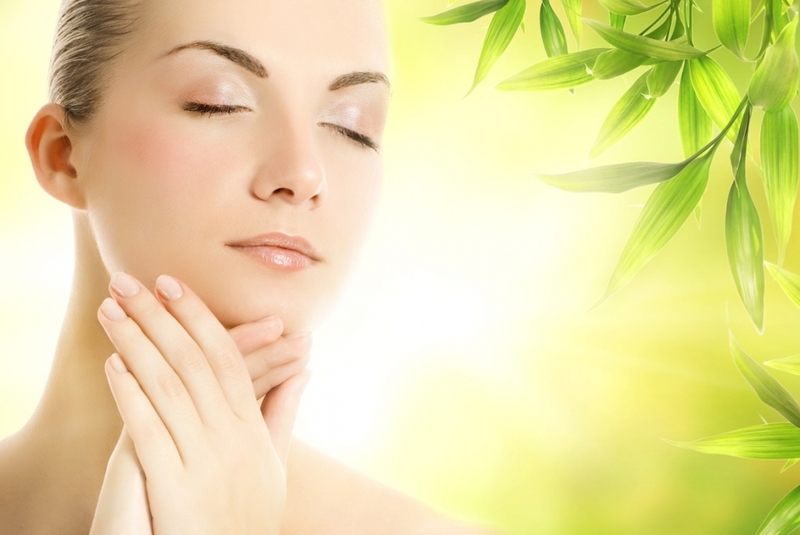 It’s all about skin with our Skin Therapy services here at Awakenings Spa Boutique! Our selection of facial treatments is specially designed to address common skin issues and keep skin in optimal health. We also have Waxing Services and Airbrush Spray Tanning Services to give you maximum confidence and freedom, every day. Book Your Valentine’s Day Massage and Facial Today! Surprise your dearly beloved with a Valentine’s Day massage in Leesburg, VA or set aside some bonding time for proud singles with our Chocolate Covered Strawberry Facial. You can also purchase gift certificates for any offered services with a variety of add-ons, dollar amounts, and packages. Schedule an appointment or book now! Say goodbye to dull, crusty skin, and hello to a youthful glow! Awakenings Spa Boutique offers skincare in Leesburg, VA that will give you a smoother appearance and completely rejuvenated skin. Proper skin care is essential in keeping your skin looking healthy and hydrated. To date, our enzyme and chemical peels are some of the most sought-after solutions to delicate skin. Discover the plethora of benefits that these skincare treatments have in store for you! Enzyme Peel vs. Chemical Peel: Which is right for your skin? Whether glowing skin is what you are after, or you’re simply looking for an exfoliation method that is gentle, relaxing, and highly effective, enzyme and chemical peels may be the perfect solution for you! Enzyme and chemical peels both focus on improving your skin by removing dead skin cells for a smoother texture. An enzyme peel is a blend of natural fruit ingredients (enzymes) and is one of the gentlest methods of exfoliation. Enzyme face peels remove the top layers of skin to exfoliate and expedite cell turnover, leading to a fresher, more glowing skin. On the other hand, a chemical peel contains a blend of glycolic and retinol or Alpha and Beta Hydroxy Acids that resurface the skin, reducing the appearance of fine lines and wrinkles, sun spots, and acne lesions. both enzyme and chemical peels can offer a wide range of benefits for your skin. Enjoy a 55-minute peeling session and feel your skin dramatically improve! One of our latest offerings for enzyme peels is our Spiced Cider Facial, which has a lovely medley of nutmeg, cinnamon, and crisp apples! Rich in Vitamin C and antioxidants, our Spiced Cider Facial can be your best bet in exfoliation, moisturizing, and even firming for your skin! Apples are high in Vitamin C and contain potent antioxidants as well as naturally-occurring malic acid (AHA) to assist in exfoliation. Nutmeg and cinnamon neutralize free radicals. It will hydrate, firm, and improve skin tone and suppleness. The Spiced Cider Facial is best for anti-aging and treating normal or combination skin. Keep Your Skin Healthy and Radiant! Enzyme and chemical peels are among the best methods for controlling acne. Chemical peels use liquid-soluble chemicals that help manage acne and oil on the skin. Enzyme peels contain natural ingredients that are especially suited for sensitive skin. These are also great for pregnant and breastfeeding women. Skin tone is another important aspect of skin care, which can be handled by both enzyme and chemical peels. Both of these skin care treatments make use of components that allow them to penetrate the skin to improve the skin tone. Are you ready for a soft, smooth, and rejuvenated skin? Contact us today to schedule an appointment or visit our spa in Leesburg, VA to learn more about how our enzyme and chemical peels can help your skin look its best. Choose the right peel based on your unique needs — who better to trust than Awakenings Spa Boutique! Getting a deep tissue massage in Leesburg, VA is an amazing way to relieve stress and pain. If you’ve never had it before, however, you might be surprised at how different it is from other types of massages. Learn more about deep tissue massage and what to expect from the experience. Deep tissue massage therapy was first developed during the mid-1800s in Canada. This type of massage became popular as an effective means of treating chronic pain and soft tissue injuries. It utilizes deeper pressure to release chronic muscle tension and typically concentrates on the deepest layers of tendons, muscle tissue, and fascia. Unlike gentler techniques like Swedish massage, deep tissue massage employs deep finger pressure applied through slow and firm strokes. It is ideal for the treatment of major muscle groups like the lower back or the neck. It is also excellent at treating injuries and relieving strain in the tendons and joints. What issues can be treated with deep tissue massage? 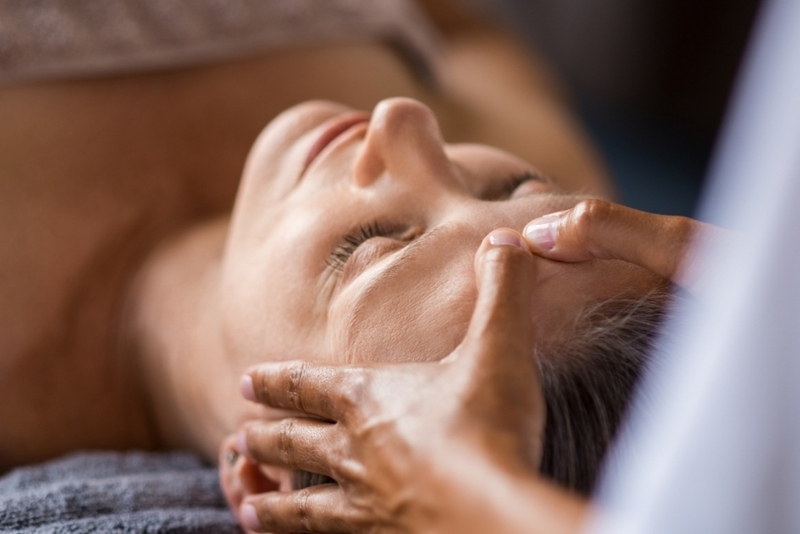 Traditional relaxation therapies can’t reach adhesions or knots in the ligaments, tendons, and muscles, so therapists employ deep tissue massage to release these more complicated physical issues. Since a deep tissue massage is much more intense than other types, only a professional should execute it. A certified massage therapist will be able to monitor your response and tolerance, and adjust the intensity to suit your needs. A deep tissue massage is most effective if you are relaxed, and a trained therapist will be able to facilitate this state. Is a deep tissue massage right for you? Have you been diagnosed with blood clots in the past? Have you had recent surgery, radiation, or chemotherapy? Do you have any medical conditions such as osteoporosis? For such cases, you might want to go with other types of massages to help you relax. Try our Awakenings Signature Massage, Swedish massage, hot stone massage, East/West massage, or Yoga Thai massage, which are equally effective at enhancing your general well-being. When you’re ready to experience the awesome benefits of a deep tissue massage, come see us here at Awakenings Spa Boutique! Call us today at (703) 728-6508 to book a session.